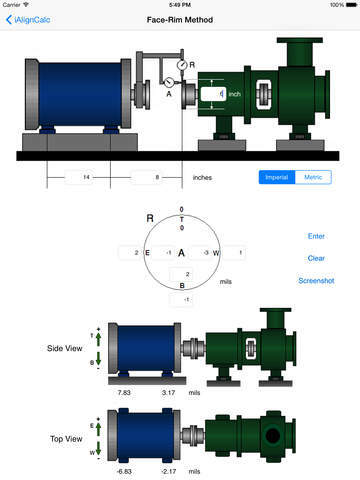 - Calculates machine shaft alignment corrections using the two inverted dial method. 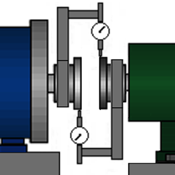 - Calculates machine shaft alignment corrections using the face-rim method. 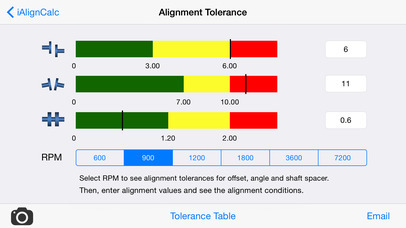 - Calculates machine shaft alignment corrections using the double radial method. - Users can save the values and calculations for each alignment session and see them in a table based on the date, and name of the machine. Each saved session can be called and viewed later. iAlignCalc is intended for educational purposes. Although the calculations done by this application were made with great care, it may contain errors or inaccuracies. Using the results of the calculations is the responsibility of the user.